Duke, a bull giraffe, has passed away at the age of 21. 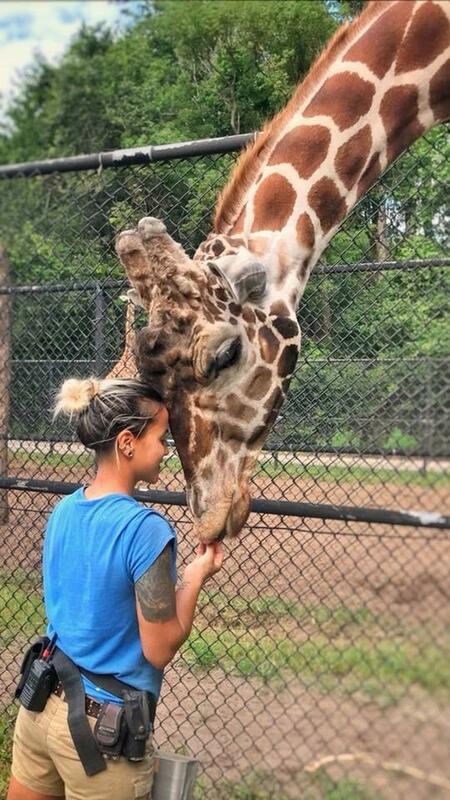 The Jacksonville Zoo and Gardens is mourning the loss of Duke, its 21-year-old bull giraffe. Zoo officials said Duke had a sweet nature. Duke had been treated for degenerative arthritis for the past couple of years. A full exam will be conducted in part to study the progression of arthritis in mature giraffes. Duke leaves behind 18-offspring, an accomplishment that made him a valuable contributor to the Giraffe Species Survival Plan, which is a cooperative breeding program of accredited zoos. Born in 1997, Duke had been at the Jacksonville Zoo since 2003. Three of Duke’s offspring still reside at the Zoo: Figie, born in 2016, and Dixon and JoJo, born in late 2017. His legacy will grow even larger this spring, when two more of his babies are expected to be born. An endangered Western lowland gorilla has been born at the Jacksonville Zoo and Gardens. Two threatened Eastern indigo snakes hatched on July 10 and 11 at the Jacksonville Zoo and Gardens. The Jacksonville Zoo and Gardens is showing off its latest additions.